100% Tradable Deposit Bonus and 35% Deposit Cash Bonus is applicable for all traders who did not deposited with XtreamForex previously. 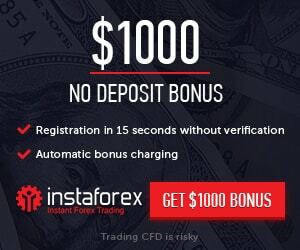 This 100% tradable bonus will be applied only on first deposit. Follow the steps to apply and get the cash bonus. Open a live account With XtreamForex. Provide your necessary documents and verify your trading account. Apply for the 100% Tradable bonus. Enjoy your trading with cash deposit bonus.